For the former republics of the USSR, Soviet history did not end in 1989. Nor is the year 1989 usually considered to be revolutionary, even though it was when the Soviet Union experienced its first semi-free elections, which as one historian observed later, ‘turned out to be incompatible with the continuing existence of the Soviet state’.1 It was in 1989 that the Soviet authorities allowed the Crimean Tatars, as the last among the ethnic groups deported in 1944, to return to Crimea. It was also when the Ukrainian Greek-Catholic Church was legalized, after being prohibited in 1946 and surviving in western Ukraine in the underground. In 1989, the Supreme Councils of a number of Soviet Republics adopted Declarations of State Sovereignty: Estonia had already done so on 16 November 1988, Lithuania did so on 18 May 1989, Latvia on 28 July and Azerbaijan on 23 September. The violent suppression of an opposition rally in the Georgian capital, Tbilisi, in which 19 people were killed, also took place that year. There were earlier signs of regime failure, but only a few could read them. In 1965, the dissident thinker Andrei Amalrik wrote an essay entitled ‘Will the Soviet Union Survive Until 1984?’ In it, he predicted a crisis of the Soviet system and speculated about the simultaneous dissolution of the ‘socialist camp’ and the re-unification of Germany.2 Amalrik was not able to see his premonition come true, dying in a car accident in Spain in November 1980. In 1981 Leonid Brezhnev acknowledged that the ‘Soviet man’ (as a new social and national entity) had still not been formed. Two years later, in 1983, Yuri Andropov confessed: ‘Until now we have not properly studied the society in which we live and work’. And in 1985, Mikhail Gorbachev proclaimed the re-construction of Soviet society on the basis of ‘socialist values’ combined with a self-sustained and competitive economy, limited political pluralism and peaceful foreign politics. The word perestroika would soon become an internationally recognized term. Gorbachev started perestroika in a country that was formally a federation of fifteen republics, defined according to ethnic principle and with a right to secede. However, the unity and strength of the Communist Party, the KGB and the army was supposed to make any thoughts about (not to mention attempts at) secession or the unauthorized re-drawing of borders between the republics totally unthinkable. Still, local territorial and cultural claims periodically emerged throughout the 1960s and 1970s. In April 1978, Soviet Georgia saw massive (and successful) protests in favour of preserving Georgian as the sole official language of the Republic. Such tendencies were intensified by the gradual weakening of central power in the second half of the 1980s. In December 1986, Kazakhstan experienced youth protests against an attempt to appoint an ethnic Russian with no ties to the republic as first secretary of the Kazakhstan Communist Party. In August 1987, the three Baltic Republics saw the first demonstrations condemning the Molotov–Ribbentrop pact of 1939, whose secret protocol enabled the Soviet annexation of Estonia, Latvia and Lithuania. It should be noted that Western Europe and the US never officially acknowledged the annexation, and that the USSR denied the existence of secret agreements with Hitler until 1989. In February 1988, an anti-Armenian pogrom broke out in Sumgait in the Azerbaijan Republic. How could this happen in a country that had proudly proclaimed to have solved the national question, and to have established ‘friendship among the people of all nations’? The federal structure of the Soviet Union had an inbuilt complication, insofar as Russia was the only republic that was constituted as a federation itself – a federation within another federation. This construct turned out to be a time bomb. In the late 1980s and early 1990s, a number of influential Russian intellectuals began speaking about the economic disadvantages of a system in which more developed Soviet republics ‘paid for’ less developed republics, and of the potential political dangers of dissolving Russia into the Soviet Union. The problem became serious when several ethnically defined autonomous entities within Russia proclaimed their state sovereignty as well. One such case – Chechnya – became particularly dramatic and violent as early as the autumn of 1991. This compromise prevented a proper change of elites. The new state did not therefore emerge from a revolution, velvet or not, but was built on the foundations of the old Soviet institutions. On the one hand, this guaranteed the continuity of the basic institutions of power in a new socio-economical context. On the other hand, it inevitably led to the reincarnation of the nomenclature at the head of a newly formed state capitalism, which later became an all-powerful oligarchy. Soon, the faults of the late Soviet (and post-Soviet) Ukrainian elites became clear. They focused mostly on converting their political power into money and on the redistribution of property and available resources. This political–economic model proved to be especially problematic in the context of the widespread (and deliberately encouraged) belief that Ukrainian independence would rapidly solve all the economic difficulties faced by the late Soviet Union. Nowadays, it is often forgotten that in the late 1980s and early 1990s, the miners of Donbas – the industrial region in eastern Ukraine – were among the most devoted protesters against central planning and centralized Soviet economic policies. The myth of immediate economic prosperity promoted by the national-democrats appeared to be one of the principal traps of early post-Soviet Ukrainian development. Independence and democracy were quickly discredited for a significant part of population and often blamed for the failures of transformation.5 Instead of ‘reaching the level of West Germany’ (as the proponents of independence promised), post-Soviet Ukraine experienced a full-scale de-modernization of the economy and infrastructure, gradual depopulation and a decline of the national income. In 1989, the economic condition of Ukraine was comparable to Poland or Bulgaria. However, over the next few decades, the gap between them broadened. Unlike the privatizations in Poland or the Czech Republic, countries with clear prospects of EU integration, Ukrainian privatization neither welcomed nor interested investors from Western Europe. Instead, it legitimized the transfer of the most attractive segments of economy into the hands of local (and Russian) oligarchs. The lack of any clear prospects of integration into European economic structures profoundly influenced the development of post-Soviet Ukrainian economy. The enlargement of the European Union to the East – sometimes too optimistically called the ‘re- unification of Europe’ – left Belarus, Moldova and Ukraine outside the EU. At the same time, as Tony Judt noted in 1996, the idea of EU expansion on equal terms was promoted during a situation in which the Union was incapable of realistically promising even its existing members a future as secure and as prosperous as its past.10 This contributed considerably to the public mood ten years later, when the EU faced a deep structural crisis. Was the peaceful – and failed – Orange Revolution of 2004 a belated catching-up with the revolutions of 1989? If so, it happened in a very different geopolitical context, when the EU was already ‘large enough’. In the early 1980s, the Polish ‘Solidarity’ movement was broadly viewed in West Germany as endangering Willy Brandt’s Ostpolitik, and an example of Polish lack of realism.11 But since 1989, Poland’s integration into the EU and NATO has never been seriously questioned. The story of Ukraine unfolded very differently. Even after the Orange Revolution, the EU was reluctant to promise Ukraine the perspective of integration, not even symbolically. This seriously discouraged Ukraine’s elites from initiating deep reforms and diminished their capacity to imagine the country’s geopolitical future. In 2010 Viktor Yanukovych – whose fraudulent victory in the previous presidential elections of 2004 had provoked the Orange Revolution – was elected president, this time in compliance with democratic procedures. 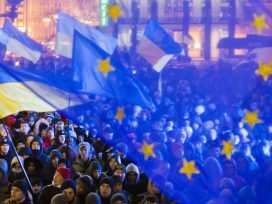 The next Ukrainian Maidan started in November 2013 in reaction to Yanukovych’s decision not to sign the Association Agreement with the EU – a document on economic policy which avoided the EU integration perspective for Ukraine. 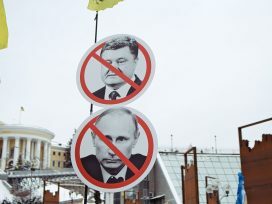 Gradually, however, the Maidan moved far beyond the issue of the Association Agreement. Philosopher Taras Liuty wrote on Facebook: ‘We looked for Europe, but we found Ukraine’. Partly against the will of the politicians who tried to speak on its behalf, the Maidan turned itself into an attempt to imagine a new Ukraine. In this process, the positive myth of ‘Europe’ as a space of rule of law, human rights, free speech, freedom of movement and economic prosperity played an enormous role. However, in an irony of history, the Maidan appealed to a European Union that had ceased to exist. The EU had itself meanwhile plunged into a deep crisis, losing its drive for enlargement and the sense of its mission. 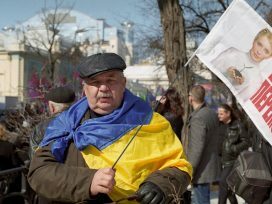 This discrepancy between expectation and reality was reflected in the fact that, on the Maidan, people died waving EU flags as symbols of freedom, while for a growing number of EU citizens, the same flag was the symbol of an inefficient bureaucracy. How, then, can we define the Maidan? How to understand its – at least partial – success in compensating for an inefficient state by mobilizing civil society? How to deal with the phenomenon of people’s self-organization? 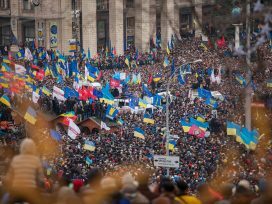 Ilya Gerasimov described Maidan as a postcolonial revolution that focused on formulating and promoting new common values – ‘a quintessentially creative act of positive self-determination that largely relativized the importance of external political influences (whether threatening or encouraging)’.12 No less important is that Maidan promoted an inclusive interpretation of Ukrainian identity and political loyalty, one not limited to ethnicity or language. And not least: the Maidan gave and continues to give citizens of the EU a double opportunity: on the one hand, to recall and reinvigorate the almost forgotten values upon which the European Union was built. On the other hand, to learn from the civic engagement that emerged where the state failed. In view of the refugee crisis, the solidarity that, long after Maidan, is still being shown in Ukraine towards its 1.7 million internally displaced persons, is particularly impressive. 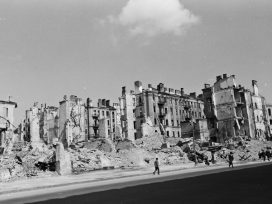 The war in Ukraine marks the point at which the new world order created in 1989 is confronted by forces that contest the liberal values underlying it. More and more people are starting to openly express their fears of the globalized world with its migration flows, its open borders and open markets. Distrustful of non-national identities and institutions, they fall back on the nation as a closed, ethnically defined community. It is telling that the EU failed to establish consensus among its members together over a common refugee policy. What does the EU crisis mean for Ukraine? Both Maidans, in 2004 and 2013–14, heavily relied on Europe as a symbol for and guarantor of liberal values. Neither, however, opened up for Ukraine a clear perspective for EU integration like that offered to the former socialist countries, which contributed so much to modernizing their infrastructure and societies. The same, by the way, went for the ‘old’ members of the EU and its predecessor organizations: the alliance was crucial for the nation–state building process in Europe after 1945. It seems as if Ukraine, as latecomer, was hit directly by the crisis of the EU and the political paralysis this caused. Does this mean that Ukraine will remain in an intermediary state between the EU and Russia (whether we call it a ‘grey zone’ or a ‘bridge’)? 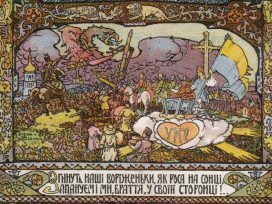 Will Ukrainian national mythology be forced to re-imagine itself without a ‘return to Europe’? Especially in a time of war and economic difficulties, is an increase in radicalization and populism inevitable? And conversely: what will Europe lose by losing Ukraine? Bigger (in terms of territory) than any other EU member-state, Ukraine is an example of a diverse and heterogeneous society that has so far failed to explain itself to the outside world. It is telling that almost everywhere, talk on Ukraine is heavily dominated by stereotypes like ‘clash of civilizations’, ‘deep divisions’ and ‘civil war’. However, cultural diversity can also be seen as an advantage. Ukraine resembles a giant laboratory. A pluralistic and hybrid post-Soviet society that cannot be reduced to the Swiss or Belgian model; the idea of Ukraine as a political nation; a situational bilingualism and situational nationalism – all these features can be observed in Ukraine. The country could provide a multitude of possibilities for re-thinking cultural, religious and linguistic heterogeneity at a European level. Instead, the country has remained a surface for projecting ideological preferences. Western Europe’s evident lack of empathy for Ukraine seems somehow to be related to disinterest in its peculiarities. Ukraine can be described as too big, too complex, too close to Russia both geographically and historically. Ukraine has often been (and still is) denied the right to exist. And yet it has survived – despite ‘the Russian spring’ and profound economic problems, despite energy dependence and a weak state. The miracle of Ukraine’s survival in 2014 still needs to be studied seriously. To do so, one would need to look closely at the structures and institutions (often informal) that keep Ukrainian society together, and which seem to be stronger even than the Maidan revolutions. Such an analysis could hopefully lead the discussion out of the pointless dichotomy between apocalypse and self-satisfaction. Serhii Plokhy, The Last Empire. The Final Days of the Soviet Union, New York 2014, 394. Andrei Amalrik, Will the Soviet Union Survive Until 1984? Amsterdam 1969. Plokhy, The Last Empire, 401. Cf. Andrei Riabov, ‘Nasledie perestroiki: vzgliad cherez chetvert’ veka’, in: Neprikosnovenyj zapas, no. 6 (2015); Boris Mezhuev, Perestroika–2: Opyt povtoreniia, Moscow 2014; see also his essay ‘Perestroika 2.0. Dilemmas der politischen Transformation in Russland’, in: Transit 43 (2012/13). 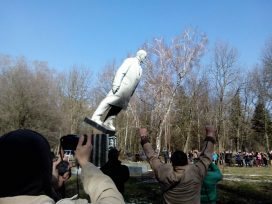 M. S. Gorbachev, Perestroika i novoe myshlenie dlia nashej strany i dlia vsego mira, Moscow 1987, 132, 170, 203-204, 233, 243. Milan Kundera, ‘The Tragedy of Eastern Europe’, in: New York Review of Books, 1984, vol. 31, no. 7. Tony Judt, ‘The Rediscovery of Central Europe’, in: Daedalus, vol. 119, no. 1 (Eastern Europe... Central Europe... Europe (Winter 1990). Timothy Snyder, ‘Integration and Disintegration: Europe, Ukraine, and the World’, in: Slavic Review, vol. 74, no. 4 (Winter 2015), 701. Tony Judt, ‘Europe: The Grand Illusion’, in: Tony Judt, When the Facts Change. Essays 1995–2010, New York 2015, 41. Timothy Garton Ash, ‘The German Question’, in: Timothy Garton Ash, The Uses of Adversity. Essays on the Fate of Central Europe, London 1999, 88. Ilya Gerasimov, ‘Ukraine 2014: The First Postcolonial Revolution’, in: Ab Imperio, vol. 15, no. 3 (2014); Ilya Gerasimov, ‘Ukraine’s Postcolonial Revolution and Counterrevolution’ (manuscript, quoted with the permission of the author). See Andrii Portnov, ‘How ‘eastern Ukraine’ was lost’, https://www.opendemocracy.net/od-russia/andrii-portnov/how-eastern-ukraine-was-lost.